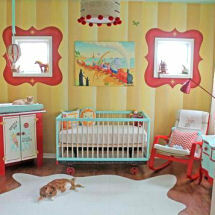 Here are some decorating ideas for lime green and black nursery decor in various styles and even a theme or two. After getting some requests for gender neutral as well as baby boy and girl nurseries decorated in this unique color scheme, I went to work and looked for some possibilities and bedding for baby rooms in these colors and more. I had a time digging up some ready made or even custom made lime green and black nursery bedding sets and am still looking for more crib sets. 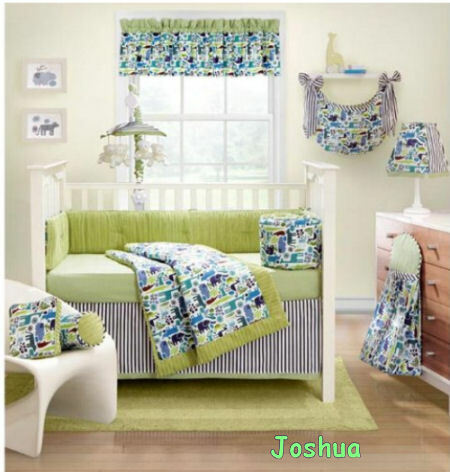 If you have a resource or a picture of a lime green and black nursery bedding set, would you please send it my way so that I can share it with my visitors? When I got the first email asking for assistance, I have to tell the truth and confess that I put looking for green and black baby bedding on my list of things to take care of when I had time. One email is not enough to make an unusual color combination like this a top priority. BLACK AND LIME GREEN BABY GEAR and MORE! After I attended a few showers that had a lime green and black theme and started to see some baby products and gear like strollers, carriers and such coming at me from all directions I finally started to see the light not to mention that I received some pictures of blue, white, green and black baby rooms that really wowed me. I came to the conclusion that that one little email was just the beginning of a trend and that I had better get on the ball! 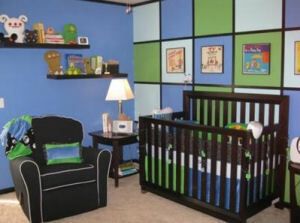 See More Pictures of this modern black and lime green baby boy nursery with instructions on how to paint squares on the wall. Or even better, why don’t you take a picture of your baby boy’s or baby girl’s beautifully decorated lime green and black nursery and enter Unique Baby Gear Ideas' nursery picture contest? 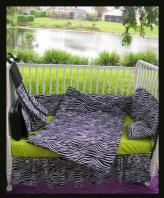 There are great prizes and chances to help moms create the black and lime green nursery of her dreams.